Dealership salesman Mike Davenport uses reviews of the store to promote himself. 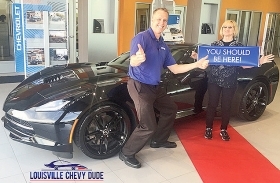 After Mike Davenport, a salesman at Bachman Chevrolet in Louisville, Ky., closes a deal with a customer, he asks, "Will you write a story on your experience of the dealership?" Online dealership reviews have grown in number and influence over the past decade. As they evolved, they expanded from general comments about the store to specific accounts of interactions with salespeople and service technicians. Now, dealers and staffers realize that the reviews that best enhance the dealership and its people are those that tell a story. DealerRater.com encourages consumers to include details by requiring a minimum of 25 words per review. "Great dealership" or "bad service" is not enough. DealerRater is interested in the particulars of the consumer experience. Since 2008, employees of dealerships that are DealerRater customers have had individual review pages. Reviews that mention employees' names aggregate there. Staffers can add photos, videos and bios about the value of working with them. Employees use it as an advertising page for their work. Davenport, at Bachman Chevrolet, has 201 reviews on his DealerRater page with an average dealership rating of 4.9 stars. When he approaches customers on the showroom floor, he encourages them to search for him online and check the reviews. He treats his DealerRater profile as a branding tool and includes the URL in his email's signature line. Rory Foster, communications director at Bo Beuckman Ford in Ellisville, Mo., said that personalized reviews "are more powerful because they actually have a point of contact with someone with a name and a known happy customer." The store used to offer $25 bonuses when customers mentioned employees' names in a review. Now, the store has dropped the bonuses, but employees still ask for individual reviews because they see the value. More than a quarter of the dealership's customers ask for salespeople based on reviews they read, Foster said. For employees, he said, asking for reviews now is "part of their daily work." Michael Rezi, managing partner at Nissan of Cookeville in Tennessee, estimated that he sold one of every eight or nine vehicles based on a personalized review. A quarter of his sales are based on customers who read reviews in general, particularly those that go beyond "great service" or something equally vague. "The customer likes to know why, what happened," he said. "If they relate, they tend to ask for the salesperson." Even a negative review story brings an opportunity, Rezi said. If potential customers see a negative review alongside the dealer's response, he said, they will think, "If I buy a car there and something happens, he's going to take care of me."